Charles Reynolds signed a lease on Tocal in 1844 and continued to run the property with great skill until his death in 1871 (the Reynolds’ tenure at Tocal continued through his family until 1926). In his time Charles changed the estate from a sheep and tobacco farm into an expansive and prosperous stud-breeding enterprise. Charles Reynolds has been described as a ‘genial man of dignity and intelligence’; he was well respected by his staff and by those he associated with in regional and state agricultural circles. 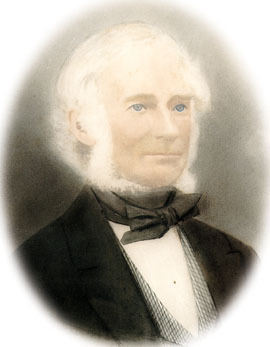 Charles made a conscious effort to improve the standard of livestock in the Paterson area and was on the committee of the inaugural Hunter River Agricultural Association in 1844. By 1870 he was recognised as an authority on horse and cattle breeding in New South Wales and was part of a committee to formulate the first Stud Book for New South Wales. Without a doubt Charles Reynolds’ time at Tocal was the height of the famous studs that excelled in the breeding of Thoroughbred horses and Devon and Hereford cattle.